Our Bangkok food guide shares with you some of the best food in Asia, choose from a variety of street stalls, open-air markets, and exclusive restaurants. Whether you’re passing through for a day or spending a week in Bangkok, theres something different to suit your tastes and pocket for every meal.Can’t decide where to eat first? If you’d like to learn more about Bangkok’s best restaurants and street food destinations, use our Bangkok food guide to plan your day around the city’s best places to eat. Bangkok Food Tours offers a range of food tasting tours covering everything from classic Thai street food to Chinese-Thai dishes and floating markets. 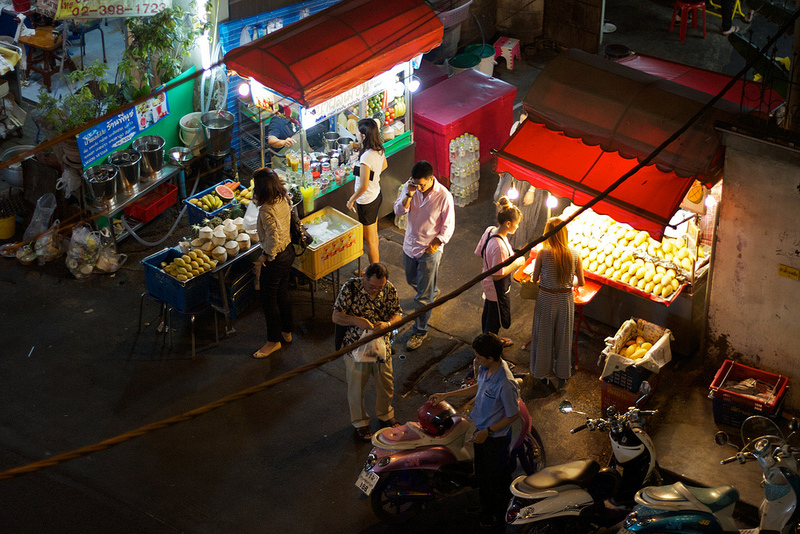 Try one of the three food tours listed below for a taste of Bangkok’s excellent street food. Walk through Bangrak, Bangkok’s love district, and try 12 Thai food and drink samples along the way. This food tour covers some of Bangkok’s best street food stands and takes you past a variety of great attractions on the Riverside. This food tour lasts from 9:35 am until 1:00 pm. Transport is provided from BTS Saphan Taksin. 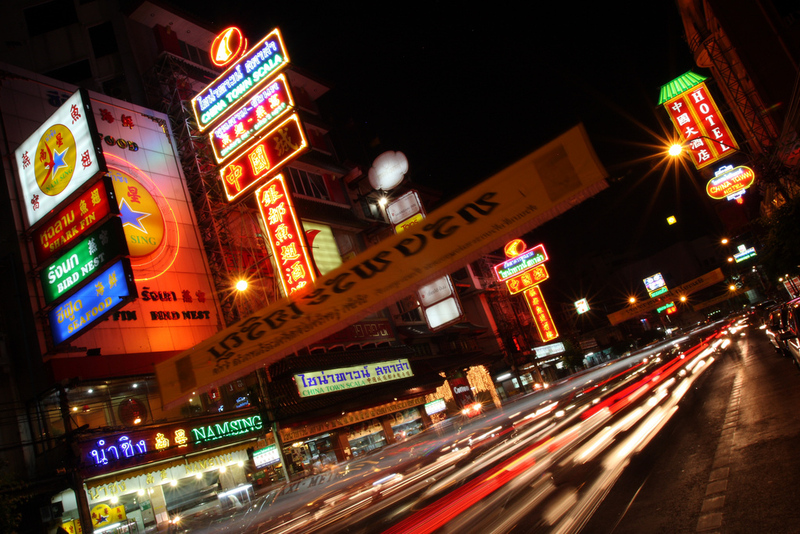 Yaowarat is Bangkok’s Chinatown — a brightly lit expanse of neon and street food. Take a walk through Yaowarat and sample some of Bangkok’s most famous Thai-Chinese dishes and street food snacks. This food tour lasts from 6:00 pm until 9:30 pm. Transport is provided from MRT Hua Lamphong. Bangkok’s fast-paced streets might not seem like the ideal place for biking, but this bike tour takes you through relaxing alleyways and cheerful street food hotspots. Tour Bangrak and Yaowarat by bicycle, stopping for street food along the way. This food tour lasts from 9:35 am until 6:00 pm, starting from BTS Saphan Taksin. 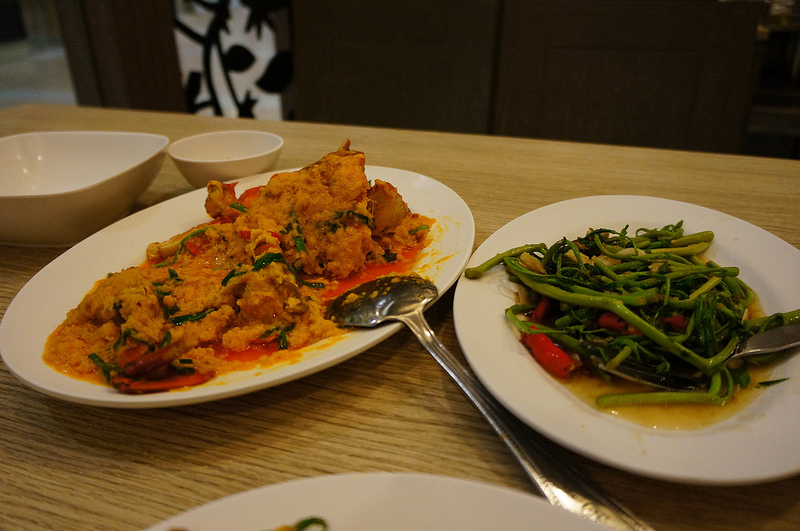 Chili Paste, another Bangkok food tour company, offers an excellent selection of food tours in Bangkok’s Old Quarter. The Old Bangkok Food and Culture Walk takes visitors to some of the city’s oldest street stalls and food vendors to sample freshly prepared Thai food. 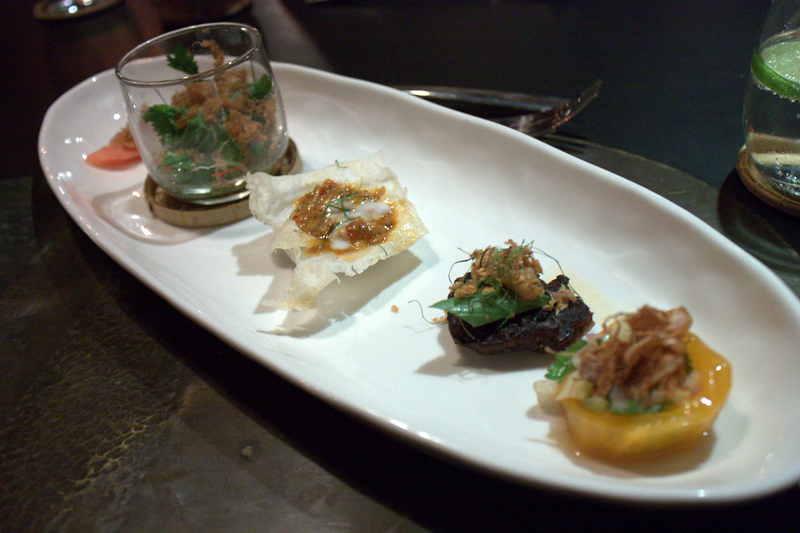 Taste of Thailand offers several food tasting tours in Bangkok. Their Evening Chinatown Food Crawl navigates the backstreets of Bangkok’s Yaowarat district and covers a great range of Thai-Chinese dishes. This busy street off Silom Road is a great place to sample Thai street food. Located near one of the city’s most popular mosques, Silom Soi 20’s vendors serve a mix of Thai, Chinese and Muslim food. Prices are reasonable and most menus are in both Thai and English. Yaowarat, Bangkok’s Chinatown, is packed with great places to eat. Try walking from one end of the street to the other, stopping at street food stands along the way, or enjoy a great dinner in one of the area’s numerous Chinese restaurants. Lumpini Park is more than just a place to escape the hustle and bustle of Bangkok. From the afternoon until late at night, it’s also one of the best places in Bangkok to try a huge range of street food dishes. Walk from BTS Ratchadamri towards the park to spot the food stands. 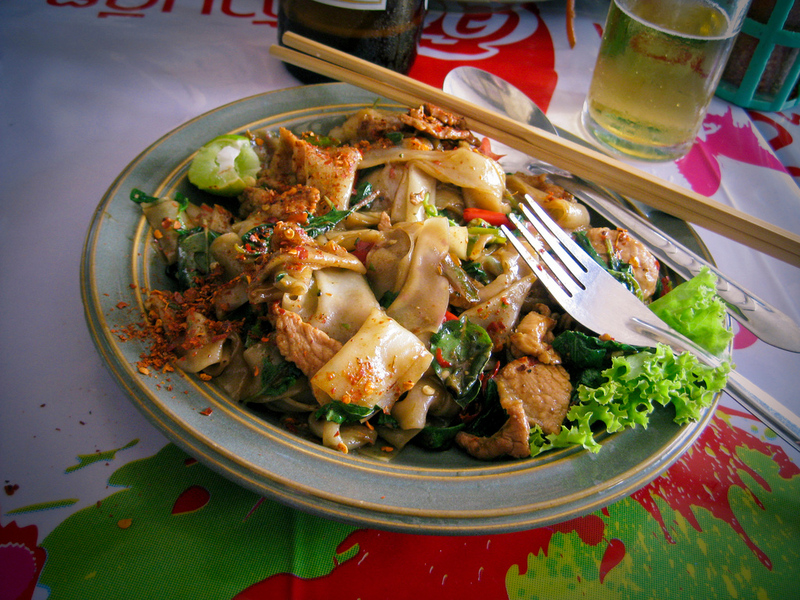 Khao San Road might have the cheapest prices, but its street food is far from the best in the area. Take a short walk to Banglamphu Market to shop for clothes and accessories and eat at a great selection of street food stands. If you’re visiting the Grand Palace or Wat Pho, take the ferry across the river to Wang Lang (N10) pier and visit Wang Lang Market. Known for its excellent Southern Thai cuisine, this busy street market is packed with street food vendors offering a huge range of dishes. 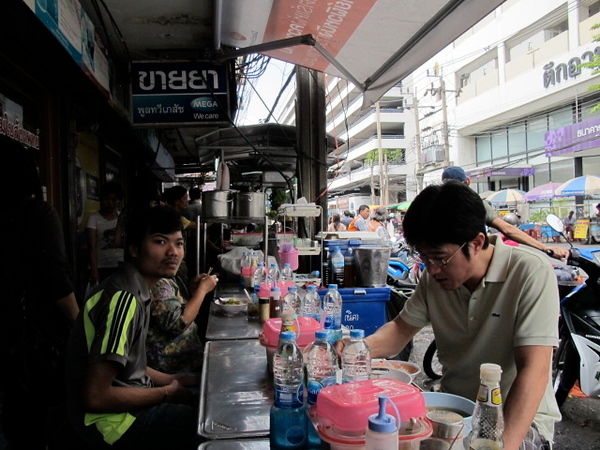 See also Thai food expert Mark Wien’s recommendations of three great street food restaurants in Bangkok. Located on Soi Rangnam a short distance from BTS Victory Monument, this small and simple restaurant serves great Isaan (Northeast Thailand) food. Try the som tam and gai yang – Thai style grilled chicken and papaya salad. This charming Isaan restaurant on Sukhumvit Soi 31 is surrounded by high-end international restaurants but always manages to pull in the biggest crowds in the area. Baan E-san Muang Yos serves a range of Isaan dishes with a focus on chicken and pork BBQ. 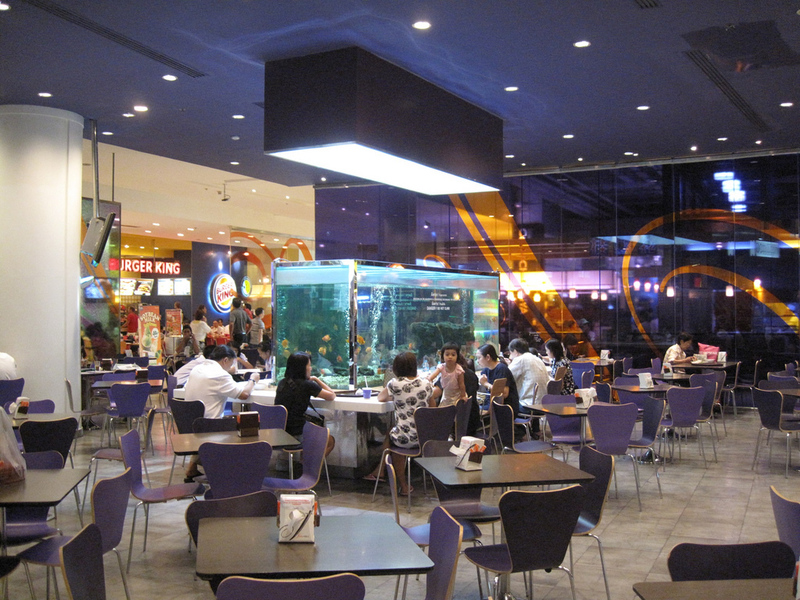 Arguably Bangkok’s most well-known seafood chain, Somboon Seafood has several locations throughout Bangkok. Drop by the Ratchada or Silom locations to try some of the best seafood in Bangkok, including the famous crab curry. Note that there are several fake “Somboon” restaurants operating in Bangkok that work with taxi drivers to trick visitors into dining. Check Somboon Seafood’s website before you make a booking to check you’ve got the right address. This Thai BBQ restaurant on Sukhumvit Soi 63 draws in a huge crowd of locals every night in search of the perfect BBQ chicken. Dishes range from Isaan classics to a range of great Thai meals from around the country. Soi Thonglor’s Phuket Town offers a great range of Southern Thai curries, comfort foods and snacks. Located inside a charming classic shophouse, this restaurant is a great place to taste Southern Thai dishes without making the trip down to Phuket. Bangkok’s shopping malls might not be as famous for their food as its street food stands, but the food court inside Siam Paragon is a pretty close competitor. This massive food court has a huge range of stalls serving Thai, Malaysian, Chinese and Japanese food at great prices. Platinum Fashion Mall is better known for its clothes than its food, but the Food Centre on the sixth floor is a great place to try Thai street food away from the heat. Like the food court inside Siam Paragon, it uses a value card system — fund yours as you enter to use it at each stand. Open since 2011, Terminal 21 is one of Bangkok’s most unique shopping malls. On the upper floors you’ll find a selection of restaurants and one of Bangkok’s best food courts, offering lots of tasty Thai dishes starting from just 25 baht. 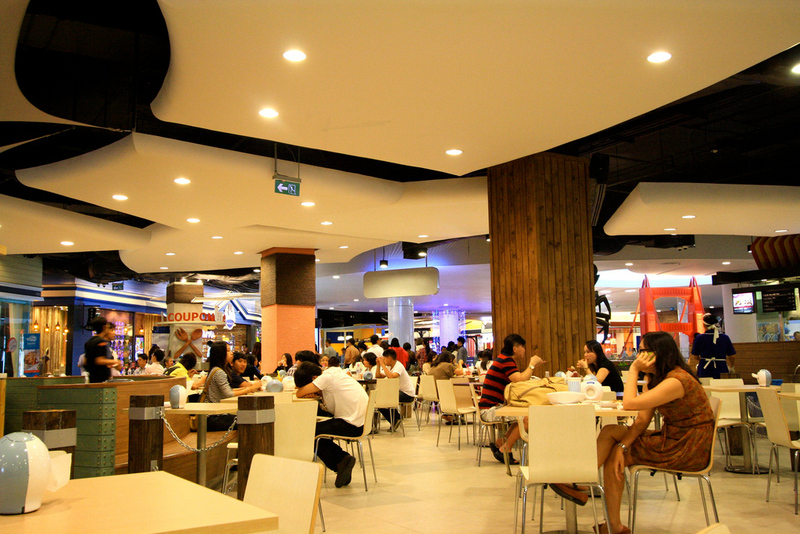 Recently renovated, the MBK Centre’s food court is no longer as chaotic as it used to be. The new look hasn’t changed the food, however; cheap, tasty Thai food is what you’ll find here, in abundance. Voted Asia’s No. 1 restaurant and run by Michelin starred chef David Thompson, Nahm’s Thai food is some of the best in the city. 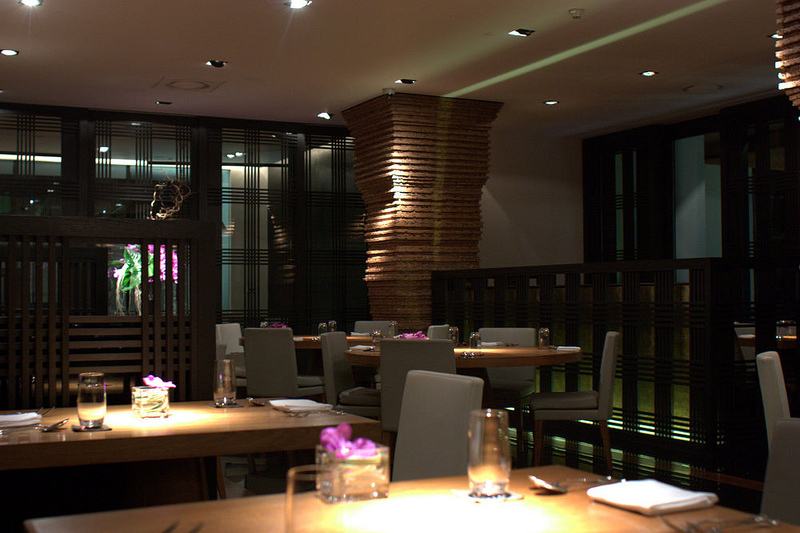 This stylish restaurant is located in the Metropolitan Hotel on Sathorn Road. Open from 7 pm until 10:30 pm for dinner. Reservations required. Located inside a beautiful traditional Thai house on Sukhumvit Soi 53, Bo.Lan offers a choice of two tasting menus covering a selection of different Thai dishes, as well as wine, beer and cocktail pairings. Open Tuesday to Sunday from 11:30 am until 10:30 pm. Reservations recommended. Run by Chef Ian Kittichai, Issaya Siamese Club serves a selection of Thai dishes inside a 100 year old Thai villa. The adjoining club serves a great menu of signature cocktails. Included in Asia’s Top Restaurants. Open from 11:30 am to 2:30 pm for lunch and 6:00 pm to 10:30 pm for dinner. Reservations recommended. Located beside the Chao Phraya River, Sala Rim Naam offers some of the finest Thai dining in Bangkok accompanied by a Thai cultural performance. Since the restaurant is part of the Mandarin Oriental, a private ferry pickup service is available along the Riverside area. Sala Rim Naam has a smart dress code, with trousers and closed shoes required for men. Reservations recommended.